Reverse mortgages were developed to help senior citizens who, living on a fixed income, need a supplemental source of income. The idea behind reverse mortgages is to allow homeowners over the age of 62 the use of the equity in their home as an extra income stream. Reverse mortgages are complicated and expensive. Senior citizens have always been a target for scammers and reverse mortgages have become one of the scammers’ tools. There are a number of common reverse mortgage scams that senior citizens should watch for. Unfair Advertising Senior citizens are sent direct mailings that contain confusing and incorrect information about reverse mortgages. They overstate the virtues of reverse mortgages and don’t disclose the risks or expenses associated with them. There are considerable fees and costs that have to be paid when you take out a reverse mortgage. They can be quite expensive. The direct advertising does not disclose this. Spouse is not on the Mortgage Before August 4, 2014, there were many reverse mortgages made with only the older spouse named as a borrower. Brokers encouraged senior citizens to do this to make approval of the mortgage easier. Age is a qualifier for a reverse mortgage. If that spouse passed away first, and the surviving spouse was not on the mortgage, the loan was considered due and payable. There are now some protections in place for spouses falling under these circumstances prior to August 4, 2014. If you have taken out an FHA-backed reverse mortgage since August 4, 2014 and your spouse dies without you being on the loan, there is now protection for you as well. Flipping Fraud This is a form of real estate or property fraud perpetrated by unscrupulous real estate agents on senior citizens. They convince senior citizens to apply for a reverse mortgage and assist them with the process. After they are granted the mortgage, they are encouraged by the real estate agent to buy another property with the proceeds of the reverse mortgage. This property is usually less than desirable and has been given a cosmetic-only fix-up. The idea behind this scheme is that the less than desirable property will quickly increase in value and the senior can sell it for a profit. There is no guarantee that the second property will increase in value. The unscrupulous real estate agent is in place to participate in the profits if it does. The senior citizen has to remember that the reason behind a reverse mortgage is to gain access to the equity in their homes, not buy another property. Vendor or Contractor Fraud When senior citizens need a new roof on their house or a new heating/air conditioning system, they may have difficulty coming up with the money. Some corrupt vendors or contractors try to take advantage of seniors by encouraging them to get a reverse mortgage and using the proceeds to pay for their major home repair expense. This is not the purpose of reverse mortgages. They are designed to give seniors an extra monthly income stream. If the proceeds of the mortgage are used for a home repair instead, their income stream over their lifetime will be reduced. High-Pressure Sales Real estate agents or brokers who are really con artists or other types of sales representatives offering to help seniors with the reverse mortgage application process may use high-pressure sales tactics designed to confuse senior citizens. They may try to rush them into making a decision or discourage them from seeking advice from anyone else. Fraud by Relatives and Others – One of the most worrisome types of fraud using reverse mortgages for senior citizens is caused by relatives, caregivers, or financial advisors. Sometimes called inheritance jumping when perpetrated by relatives, this type of fraud occurs when relatives convince senior citizens to take out a reverse mortgage and then use all or part of the profits for themselves. Relatives and caregivers may also try to get seniors to give them their power of attorney which gives them the ability to access their money or apply for a reverse mortgage on their behalf. Financial advisers that are unethical can also steal from seniors by siphoning off money from their accounts using their power of attorney. 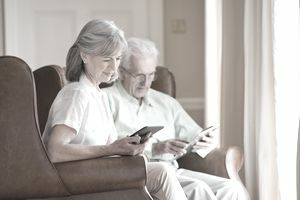 In order to make a good decision about whether or not to apply for a reverse mortgage, seniors should first get some reverse mortgage counseling. Any lending organization can provide a list of reverse mortgage counselors. Seniors should then get a list of FHA-approved lenders for reverse mortgages. If senior citizens take all of the precautions concerning reverse mortgages and still don’t feel comfortable about taking out the mortgage, then they should not do so.